Text messaging is all the rage these days. Truth be told, it has been for quite some time now, but with a higher open rate and a higher response rate than any other form of communication, text messaging is an increasingly desired method of communication between consumers and businesses. Businesses are quickly figuring out how to respond to this desire and use it to their advantage. 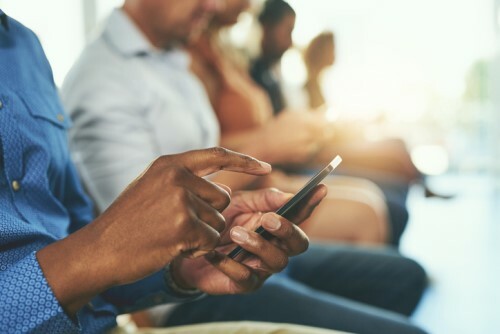 Not everyone has a marketing team or strategist, however, to help out when it comes to incorporating texting and making it scalable. In a recent webinar, Podium’s Taylor Cutler, digital marketing manager, and Trevor Cook, regional director of sales, shared six ways to use texting to improve the customer experience. 1. Setting appointments and setting appointment reminders. Not everyone’s going to remember an appointment, so sending a reminder really helps everyone out, and clients are grateful for it. For originators with a high volume of meetings and clients, using a program like Podium and simple templates can easily automate the process, making it more convenient for clients to respond, and never miss a meeting. 2. Answer customer product or service questions. Cook said that inbound inquiries via SMS such as Google’s Click-to-Message have very high conversion rates. When clients are in that initial research stage, being able to reach a person and get an immediate answer—or at least an immediate reply—can go a long way to build trust with clients, and can be the difference between competitors. There are a million documents that need to be signed in the process of securing a mortgage, but they don’t all need to be signed in person. Using something like DocuSign links results in a much quicker turnaround. "We see the industry going in this direction more and more. A lot of people are still using email to manage those transactions and documents, we know it’s a lot of back and forth,” Cook said. “To really ease the pain and make that easy for them, if we’re doing it through a textable format and it’s something as simple as a link that they click on one time and they’re right there to sign and review the agreement, that is helping you in so many ways.” The goal is to make texting a more transactional experience, and move forward faster, and Podium has a tracking application behind this, so originators can keep track of what was signed when. Instead of long-form, emailed surveys (that are getting harder and harder to rely on due to shorter attention spans), using text can result in better data on ways to improve the client experience. "We’ve seen less and less response rates on the survey side of things because frankly . . . consumers aren't willing to take the time." Cook said. Making the process easier for consumers results in higher response rates. A lot of phone calls aren't necessary. It's easy to lose track of time on the phone and a question or problem that could be solved in four minutes takes 24 minutes instead. Personal communication still has its place, so reserve more time for those moments and make them even more valuable by increasing communication by text for everything else. Like surveys, inviting customers to review a business via online reviews is often done via email, email that may or may not be opened, read, and acted upon. Reviews are crucial to local search results and getting people to even find a business, and the likelihood of satisfied borrowers leaving a review increases if it’s easy for them to do. Everyone’s on a mobile device these days. Take advantage of that and use it to improve the overall customer experience satisfaction by increasing the convenience factor through the use of text messaging.